Tearbritches Trail is a 6.3 mile out and back trail located near Epworth, Georgia. The trail is rated as difficult and primarily used for hiking and camping. Dogs are also able to use this trail but must be kept on leash. We used this trail to access the conasagua river trail - we were short on time and running a shuttle. In hindsight, I wish we would have just run the shuttle to the north terminus of the CRT because this trail was BORING! The first half mile is slogging up a hill thorough a trail overgrown with briar, then the next 2.5 mils are relentless downhill to the conasagua river basin. Not much to see, overgrown, and the last half mile of trail was hit hard by fires. We actually lost the trail in the burn area, so we bushwacked our way down to the river. There was one small spring for filtering water about halfway down the trail, we did not notice any good sites for tent camping, but one could string up a hammock in plenty of places. hardest trail I have ever been on. it is up and down. nothing is flat. Steep descent down to the creek and then a steep ascent back up. Better eat your Wheaties!! Short hike, not very scenic as far as mountain views. Lots of elevation here in a very short distance. Starting out it's pretty dense and grown up, but the trail opens up nicely. 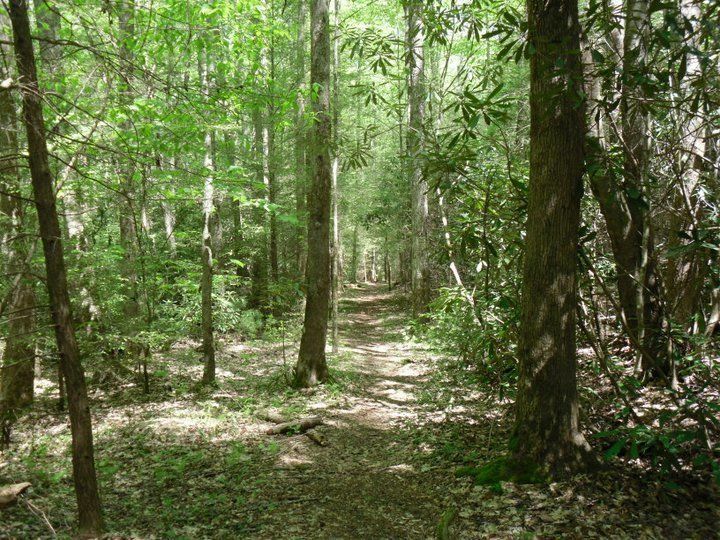 Hike down Tearbritches camp at Boyd Field or one of the nearby campsites where the Conasauga River Trail, Hickory Creek Trail, and Panther Creek Trail meet and then dayhike up to Panther Creek Falls. This trail is moderate going in, but if you have to come back out it, be prepared to feel the burn. At the bottom you can connect onto the Conasauga river trail or panther creek trail. The gain on the way out is about 2000 feet strait up. Beastly!